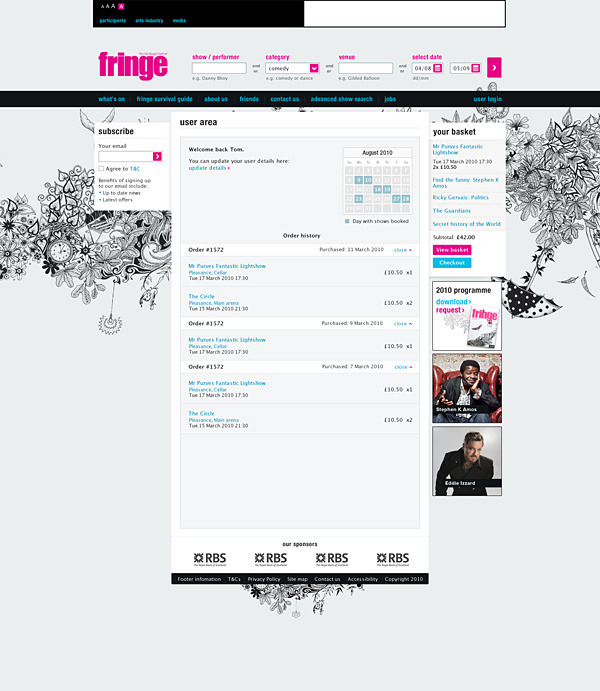 Screens below aren't final, they contain dummy texts and temporary images. 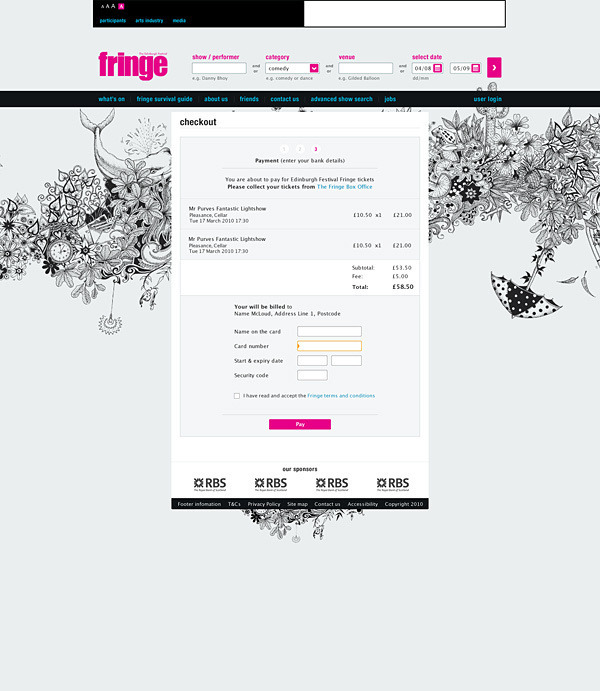 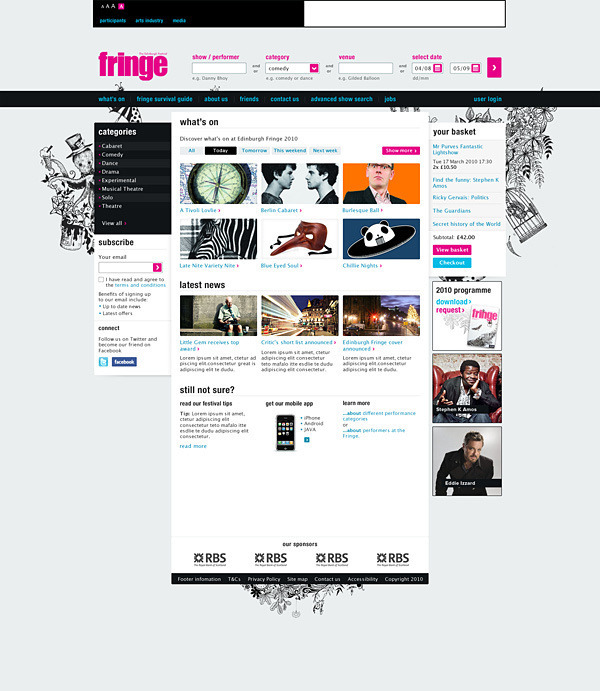 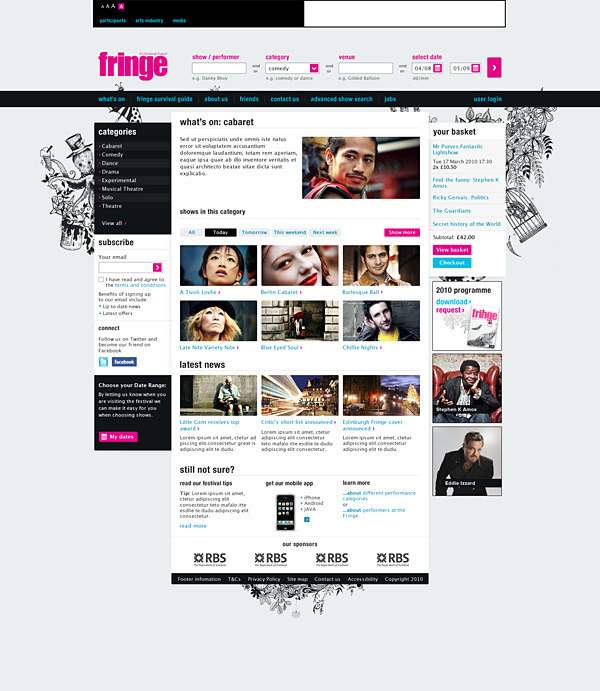 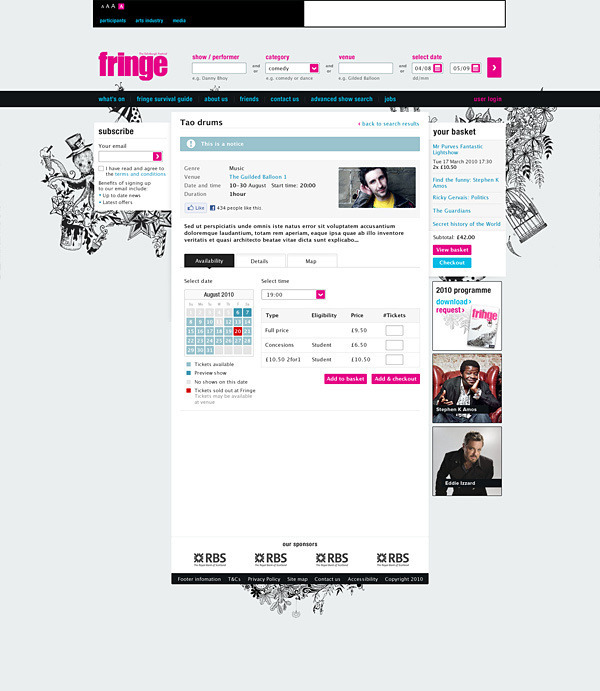 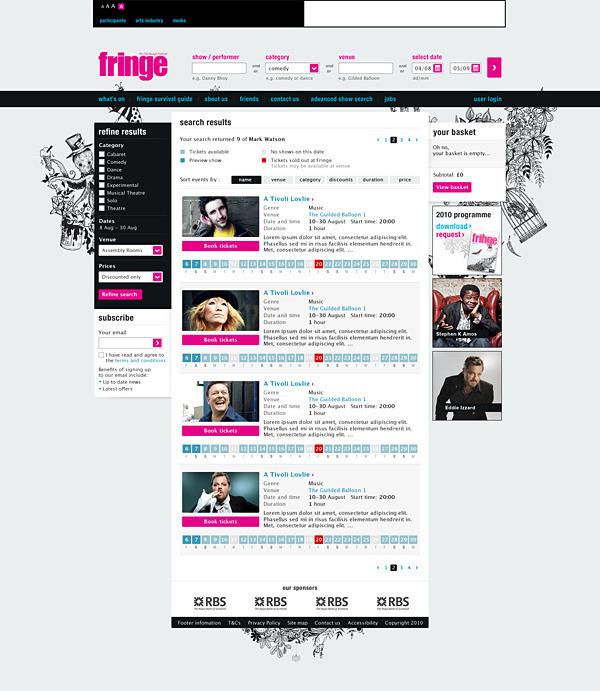 Website by Line Digital for Edinburgh Fringe Society. 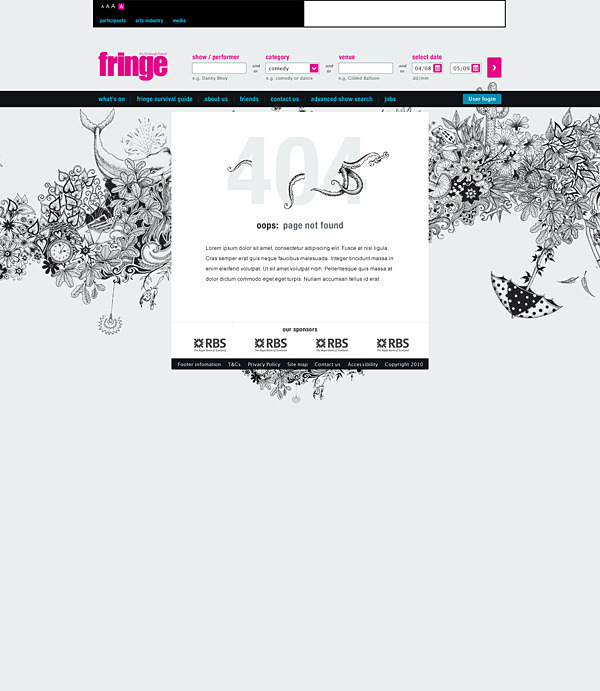 Drawings in the background: Johanna Basford. 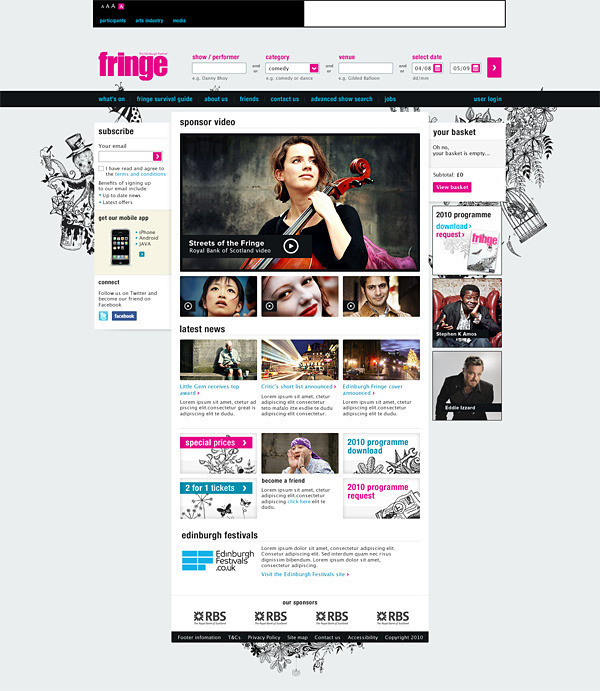 Photos of street performers: Ola Gruszczynska. 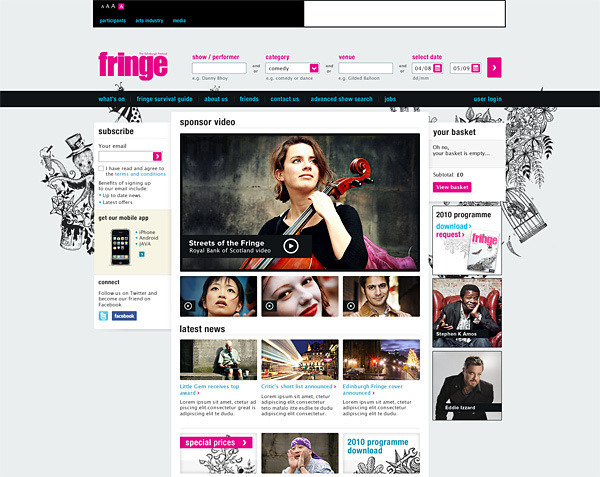 Art direction: Mark McIntosh, Rufus Spiller.